Dance is a collection about belonging. ​A sense of belonging is a fundamental human need. It is essential to feeling safe and loved. It gives us a sense of connection to others that enables us to feel comforted, cared for and loved. We need to feel that we are not alone and that we share our humanity with others. This matters to our mental wellbeing. People with dementia report that connection and belonging is even more important after a diagnosis of dementia - but that they are less likely to see family and friends and feel connected. At the very time when people with dementia need us most - many people back away. We can turn this around by understanding the importance of belonging and social connection to people with dementia. We need to hear their music, enter their worlds and find out what matters to them. 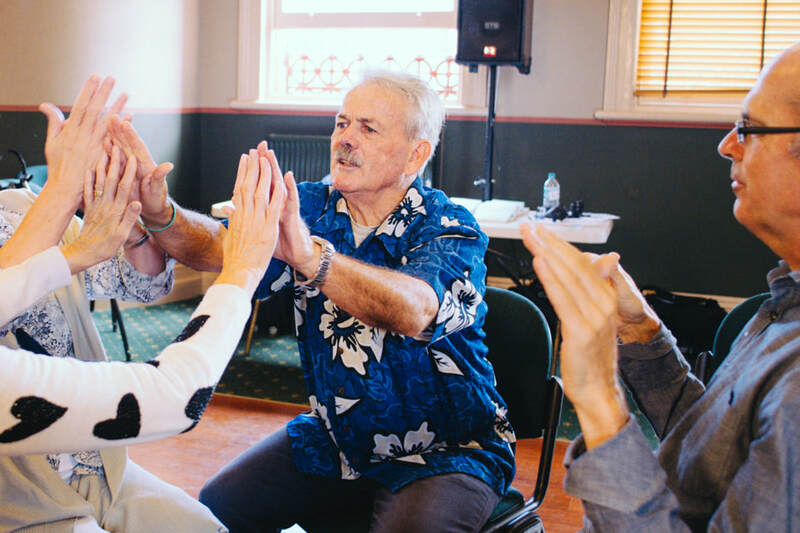 The Dance collection does this by hosting Belonging Workshops where people with dementia share their stories about belonging - and we dance as one human collective, sharing our humanity. 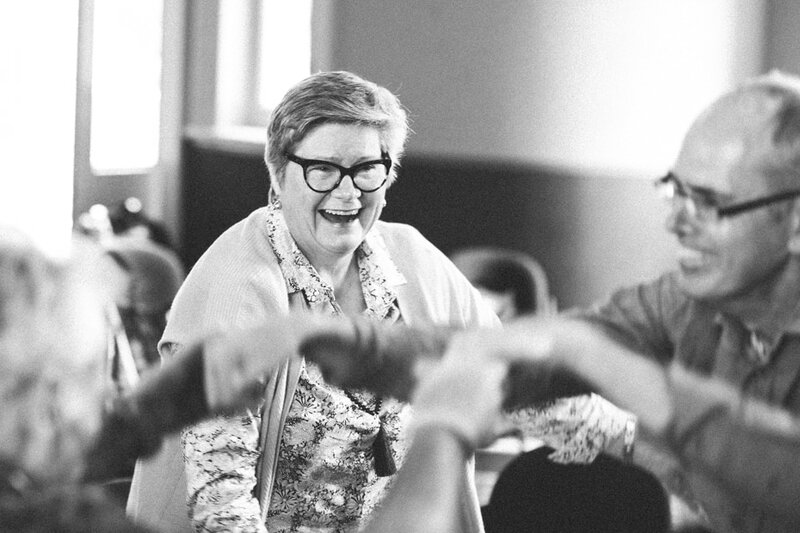 From this Dance and these stories we are building a collection about dementia and belonging - so that those who see these portraits and read these stories will better understand people with dementia - and work to foster a sense of belonging. Photos (c) Lisa White, The Social Photographer. 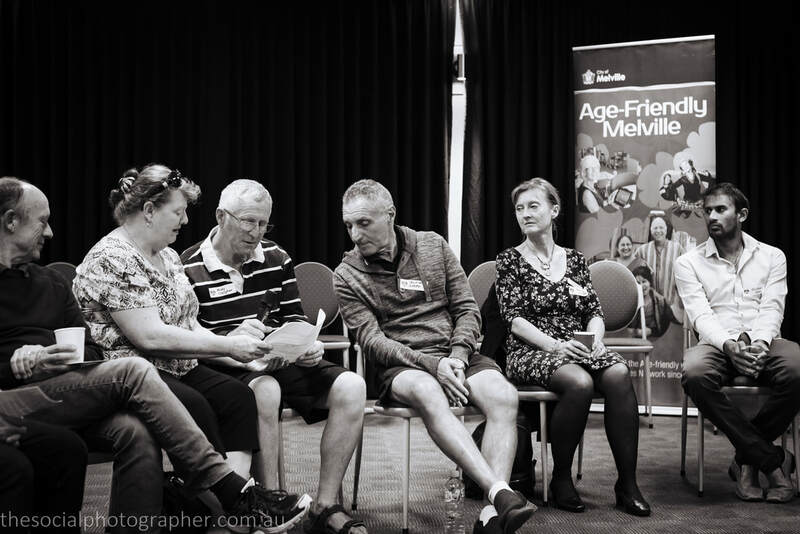 The following stories were documented as part of the Small Acts of Love Dementia Symposium in Ballarat and LoveFest Perth. For more information about Belonging and dementia - please read the Belonging section of the LoveFest Perth Collection. When people are told they got dementia they may feel alienated from the rest of society. To me, it is more concerning if the person concerned has no support at all. No family, no friends. It compels you to ask, how did they fall through the cracks without being noticed? Is there a way we can reduce it? I was very fortunate to keep all my friends after I was diagnosed with dementia. In some situations, friends and family don’t understand dementia and thus, don’t know what to say. I know a guy who was told he had dementia and he went home and shut himself away. He didn’t want to know anything about dementia. He was angry and in denial. He rejected he had dementia. He needed to find the right group to realize that he did fit in. In that situation, what is the best way to break down the barrier? I didn’t want to tell people I had dementia or Parkinson. It wasn’t that I was ashamed; I just wanted to be treated the same as before. I didn’t want people to see me as Tom with dementia, or Tom the Parkinson’s boy. My family is where I belong. I got some close friends and I got some regular friends and sometimes I got people who don’t even know me, who come and help because they can see I got Parkinson’s Disease and mostly they step up and help. So, I see the good side of people. But they can’t tell what you got with dementia and if they don’t know - they avoid you. ​When people help me I make sure I thank them. I represent people with dementia and we got to educate each other. I like tearing down barriers and building bridges so we can understand each other through better communications. I don’t blame people for not understanding dementia - but we gotta help them understand. There is a case where a supermarket manager had his staff undertake a training course in communications with physical and mentally challenged people. Some time after the course the trainers reviewed the results. It was found that the communication between the two parties increased. Both parties started to talk to each other, in some cases laughing and joking as they found it was easier now since they understand each others challenge. In some cases, some of them became friends. It illustrated if people could understand each other, communication will be higher. One staff member, not only said he is much happier now that he can now easily talk to anybody and said the operative word in that training was patience. I go to yoga, singing and exercise groups, memory cafe, art and soul and other activities. This has help formed a bond and thus, a feeling of belonging. We have challenges to each other to motivate us to do better ,or do things we haven't done before. We formed an understanding and a bond. I also do other social things like bowls and movies with friends and family who are not living a restricted world. They are out in the world and they got more confidence. Going out and doing things with them is good for my confidence. Andy and Alfie’s story about belonging is shared by their wives - as part of LoveFest Perth. Belonging is being surrounded by people we love, who care and accept us warts and all. It is a feeling of comfort and safety, being respected and listened to. Having friends that understand what you are going through and friends that are going through the same thing as you. People who understand those ‘dementia moments’ and accept you without judgement. Feeling included and meaningfully connected with those around you. Andy and Alfie met 15 months ago at the men’s walking group run by Alzheimer’s WA. They have become Best Buddies and their lives are constantly intertwined. Having dementia is a very socially isolating experience for the person who has it and also for the loved ones caring for them. We connected with four other couples where the men were all affected with young onset dementia. We have all become firm friends and are great supports for each other. Andy and Alfie’s Friendship has grown strong and we now meet once a week to share a meal, have a few laughs and a couple of drinks. Alfie recently told his specialist that he has a friend— Andy - and that they fill in each other’s gaps. The specialist was very impressed with their connection. A sense of belonging has also come from Alfie and Andy’s dogs which are a big part of their lives. The dogs give them unconditional Love. The dogs have to be walked twice a day and the men are connected with others in the community when they bring the dogs to the park. To find a friend who totally understands what you are going through is exceptional and these 2 men have found that. That is when you feel you truly belong. Belonging means you fit in, you have a peace that people round you accept you, that you are accepted, and it works the other way too, you are accepting of others. What makes it easier to have a sense of belonging is when people understand and have patience with you. Sometimes in the real world that’s difficult, but if it was more dementia friendly, people would step in to help if they see you are having trouble, but wouldn’t be overly intrusive or take over. Like the other day I was having trouble with figuring out how the soap dispenser worked, and a lady just helped me by saying, you just put your hands under it there…. It’s just common sense, and respect. For example, sometimes I have trouble making change, and it really helps when people have the time to wait for you, or help gently, and not get exasperated with you. Amongst friends, it means they don’t treat me as if it’s the disease that’s important but realise that what’s important is me, the me part and treat me accordingly. That I’m not on the slippery slope and that’s it. Just understand. And treat me according to how I am at the particular time. It’s just that love and acceptance – and taking time. In my family, we have an odd sense of humour that gets used a lot in these situations. And we are part of a church, and they are lovely and accepting. If you don’t feel like you belong, or don’t feel accepted for who you are, then you are more likely to withdraw within yourself, and that’s probably not as healthy. To be treated as if you have a brain – that’s important. Belonging is about being connected to the community, and that’s manifested in a lot of ways. A person with dementia sometimes loses friends and family members, in part because they don’t know how to interact with someone with dementia. So I think one of the things to increase a sense of belonging is better education for others. There is a stigma with dementia – people think that there are a lot of things you can’t do – they tend to adopt a deficit model, focusing on what you can’t do. It has helped me so much being part of our dementia support group. It allows us to sit down and talk, and there’s no judgment there. No thinking: this person can’t do this, can’t do that - just good interchange and sharing information among the group. Some members of the group have become our really close friends. ​Another way I have reconnected to the community is through my advocacy work and meeting people like Anne and Edie – that’s given me a sense of belonging. I went through a really bad period after my diagnosis of dementia. For four years I sat around, completely disengaged. I was ashamed, felt hopeless, had personal worries about what would happen, because I’d seen my mother and my aunt decline with their dementia. I became really disconnected. But through the relationships that I have developed in advocacy work and being on committees, I have recaptured a sense of belonging. Another way that I feel belonging is when people value me as a person, when they value what I contribute. People with dementia who live alone without many supports, without visitors and family, whose only contacts are through the people who come to clean, the council people – it’s hard to have a sense of connection in these situations. We are trying to make my home town dementia friendly and inclusive. By making it inclusive for people with dementia, that also includes others who feel excluded, like people who are homeless and people with intellectual disabilities. We are all in this together and we need to be aware. Everyone has a right to belong. What support mechanisms help me will help everyone. Belonging is part of Maslow’s hierarchy of needs. Another psychologist who writes about this is William Glasser, who talks about what needs it takes to be fulfilled, and one of these needs is the need for a sense of belonging. It’s important because it goes to the heart. We talked about living in a community that is friendly when walking down the street. It’s a good feeling when you are greeted on the street – and that would be nice if it were universal. When people smile at you, they are acknowledging you as a person. There is a lot of power in the non-verbal, especially because sometimes people with dementia lose the ability to speak, and the non-verbal becomes even more important. 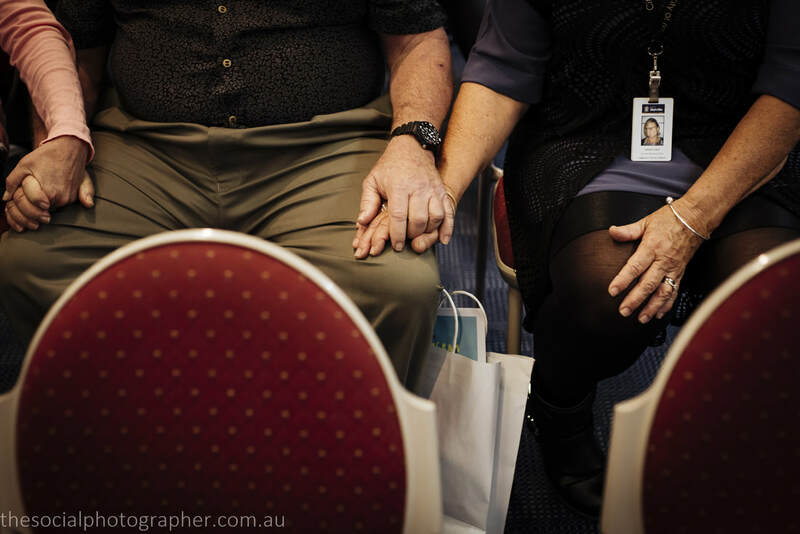 The Dementia and Love Symposium had that same feeling – there was such a lot of love in the room. The connectedness between the people with dementia was strong. There is something about people with dementia and the way they connect with each other. When we were doing the dancing at the session just for people with dementia, and the four of us were together there, our brains were in neutral, we were just coasting along being non-judgmental.